Resorts in Bulgaria are very popular among Russian tourists, especially for families with children, and the reasons are many: friendly people, mild climate, low prices. But in addition to buying tickets, booking accommodation and obtaining a visa before you travel to Bulgaria you need to buy the currency. The question is - what? 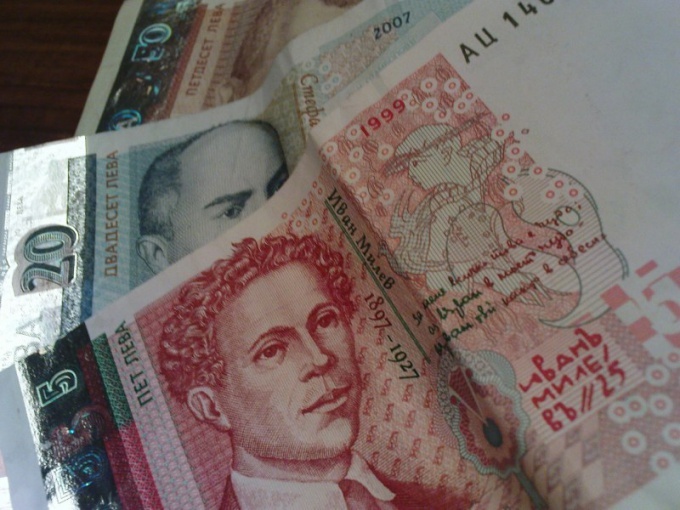 The national currency of Bulgaria is the Lev. It is considered, what is the name of the currency received from the medieval coins circulated during the reign of Ivan Shishman. One Lev equals 100 stotinki is a Bulgarian coin. The last time the appearance of the currency (and its "weight") was changed in 1999 after the denomination. Bulgarian national Bank issues banknotes in 1, 2, 5, 10, 20, 50 and 100 leva and coins of 1, 2, 10, 20, 50 stotinki and 1 Lev. Interestingly, the Bulgarian Lev was always attached to some other stronger currency. So, after the liberation of Bulgaria during the Russian-Turkish war and the introduction of own currency units, the rate was equal to the French franc. For this reason, a small coin was called a penny then, and only after she was given the name Bulgarian stotinki. During the Second world war, the Lev was pegged to the German mark. And after the introduction of the Euro, the Bulgarian national Bank has set a hard line that exists now: 1 € for 1 Lev 96 cents. The exact rate of the leva relative to the Euro at 1,95583. That is, 1 000 € 1 955, 83 leva. How to change the levy? Before you travel to Bulgaria you can buy Bulgarian levs in Russia for rubles, but it is not always convenient, because it is impossible to predict the costs in the country. So tourists take the money with you and change them there. The exchange rate of the ruble and the dollar in Sofia is more profitable than in the resort area, as indeed in many countries where tourism is developed. Due to the fact that the Bulgarian Lev has a hard peg to the Euro, you can examine the predictions in the short term and to bring the currency, the exchange of which would be the most beneficial. So, if the dollar rises against the Euro, it is better to bring U.S. currency, as against to the Bulgarian money will be the same situation. If the European currency is losing value, it is better in Russia, and in Bulgaria to exchange. With regard to currency exchange offices in Bulgaria – a lot of them, especially in places of a congestion of foreigners. Before you give your money, it is important to examine all the plaques, signs and ads, since the input might be written large on zero Commission, and the side - small print on the Bulgarian - that it applies only to transactions from 1 000 Euro. To avoid conflicts, it is best to show the employee of the exchange office the bill and ask you to write or type on the calculator the amount of money you can receive.